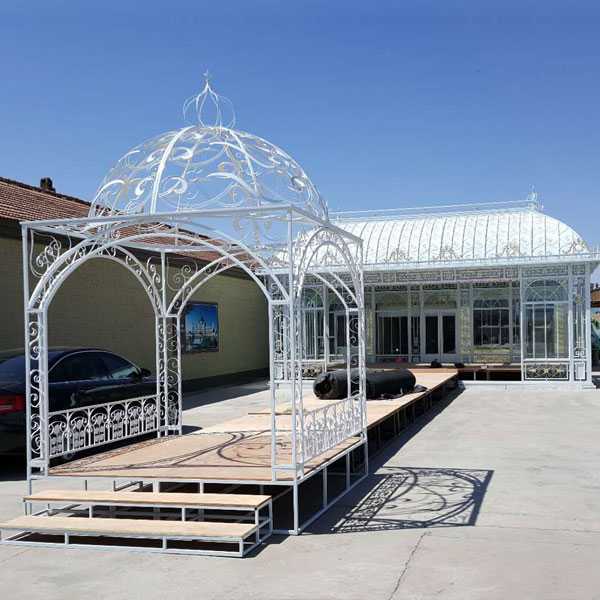 this outdoor metal wrought iron gazebo design is for wedding ceremony.Our palm house is a modification of the orangery Salzburg. 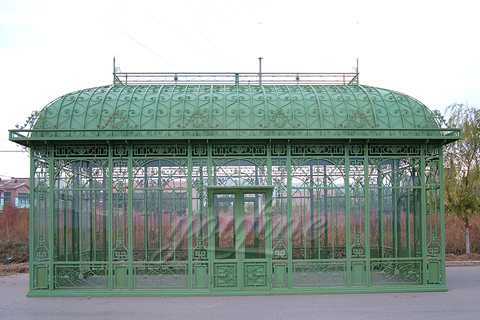 The palm house has a completely glazed roof with another roof structure in which there are many windows to open. Above all, there are pillars from the floor to the eaves around the orangery. 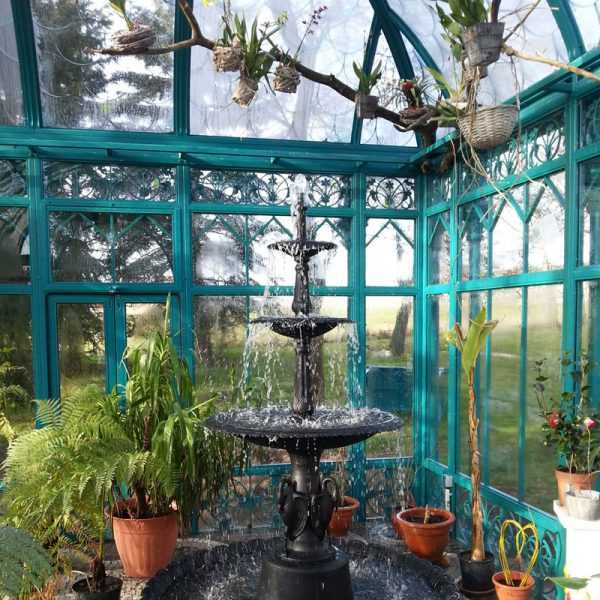 This extraordinary greenhouse is thus flooded with light and is ideal for the wintering of citrus plants, palm trees and other southern plants. 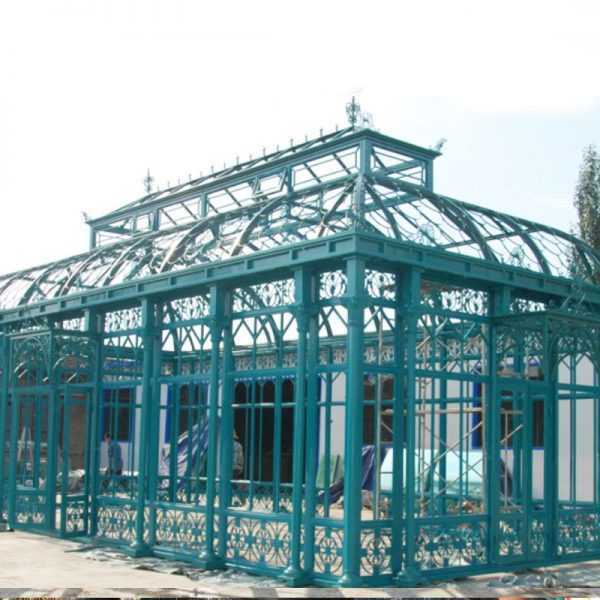 Of course, the orangery is also completely hot-dip galvanized and is then powder-coated in your desired color. 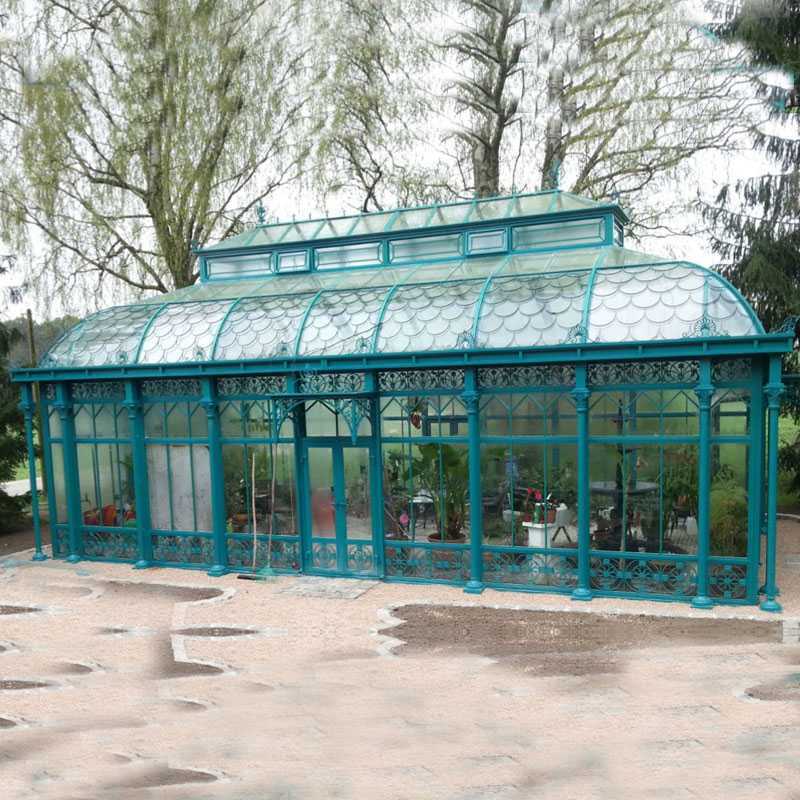 The pictures depict the orangery in size with the dimensions 500 cm * 1100 cm and a height of 550 cm. 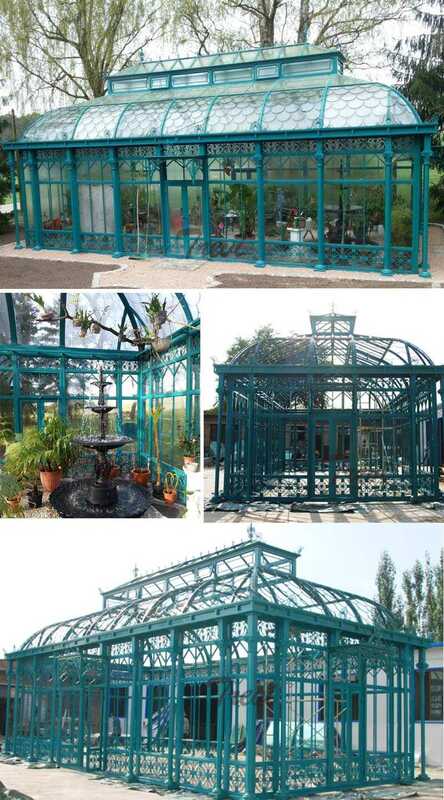 However, this orangery is available in all sizes, small sizes are possible, but also an orangery in the size of several hundred square meters is feasible. 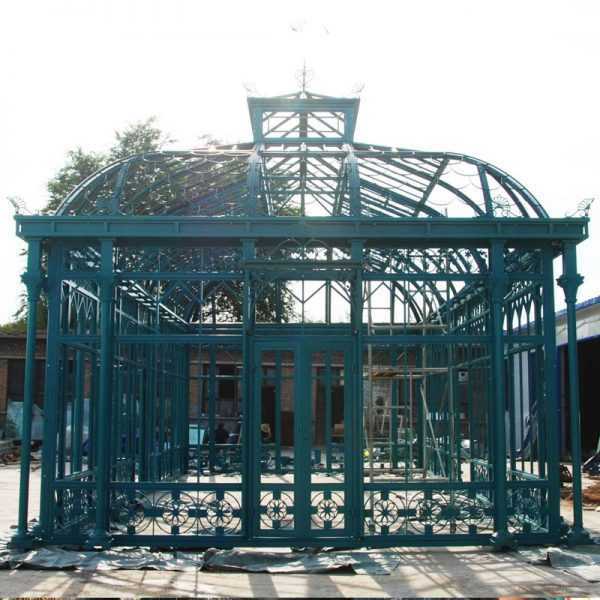 We check every weld for quality and assemble the gazebo to make sure you’re going to be satisfied. An iron gazebo makes a great wedding setting and a peaceful place to relax in a garden. 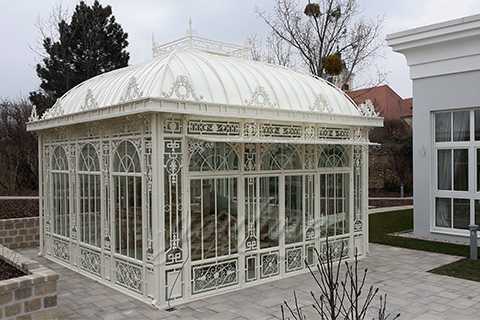 Our architecturally designed garden gazebos, have been inspired by some of the world’s greatest landmarks. Fabricated in iron, our gazebos create a spectacular focal point for your outdoor living space, whether it be for a mid-morning bite, afternoon tea or a gathering with friends and family.